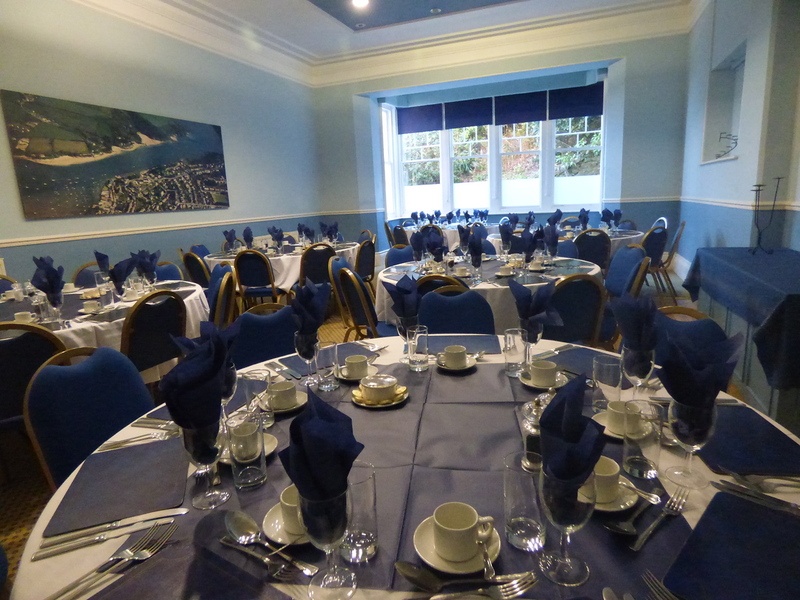 Within Salcombe Yacht Club we offer great facilities for our members to host various events and celebrations, in both our Chart Room(seats approx 40) and our Dining Room(seats approx 70). Over the years the team at SYC have organised many memorable occasions from small gatherings including: anniversaries, birthdays and licensed weddings. We can also offer the terrace for private hire. Please see all hire prices below. Our Catering Team can create a bespoke menu of your choosing from canapes or tapas to fresh local seafood, as well as traditional meals. All produce is sourced locally where possible. We will endeavour to create an event for you to remember. The Chart Room offers a unique setting to host your Corporate Events as we have a large screen monitor which enables you to host training events and workshops. "It is an inspiring room which allows your ideas to flow, the perfect location which will make any event one to remember…"
Please contact the club to discuss what our team can do for you.